The Xyron Hashtag Challenge is in full swing on Instagram! However, if you are late to the Xyron hashtag party, that is ok! To get you caught up on all things Instagram, Xyron is having its first ever Hashtag Challenge. If you are unfamiliar with a Hashtag Challenge, its basically where a ‘’challenge’’ is announced each week, and you guys use the #HOLLYJOLLYXYRON to share your projects that go with that challenge Then, once the challenge week is up, the Xyron Design Team will pick a winner of the challenge and that person will be featured on all of our Instagram pages AND will win a Xyron Creative Station! So, to get you inspired to make your own projects for the challenges, the Xyron Design Team members are sharing their own project for each challenge. This week’s hashtag challenge is all about home decor (which is my favorite topic)! When making my own home decor project for this challenge, I knew exactly what I wanted to make. For the longest time, I have been wanting to create my own version of a vintage tree display that I saw in the Fall 2016 issue of Vintage Holiday. 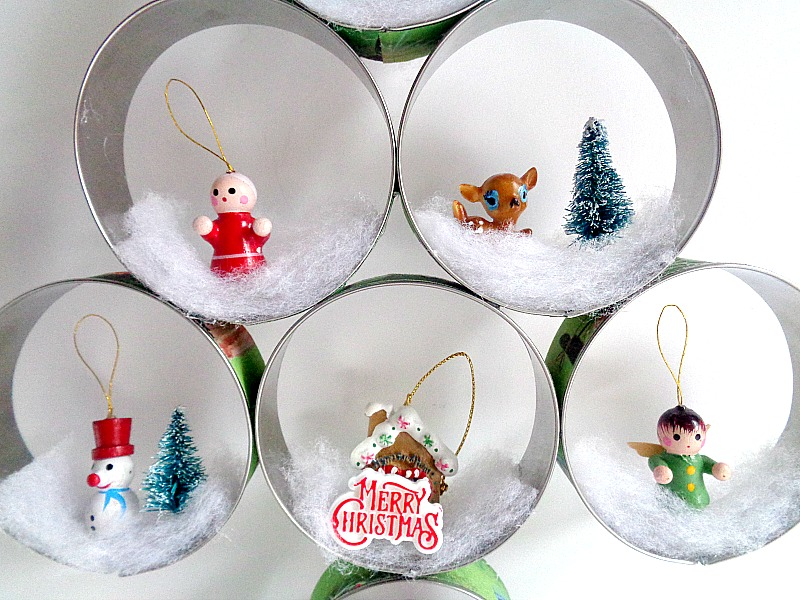 I couldn't find a picture of the original image online but basically, the vintage tree (according to the article) was made around the 60s or early 70s, was made out of cat food cans and was designed to display small ornaments. 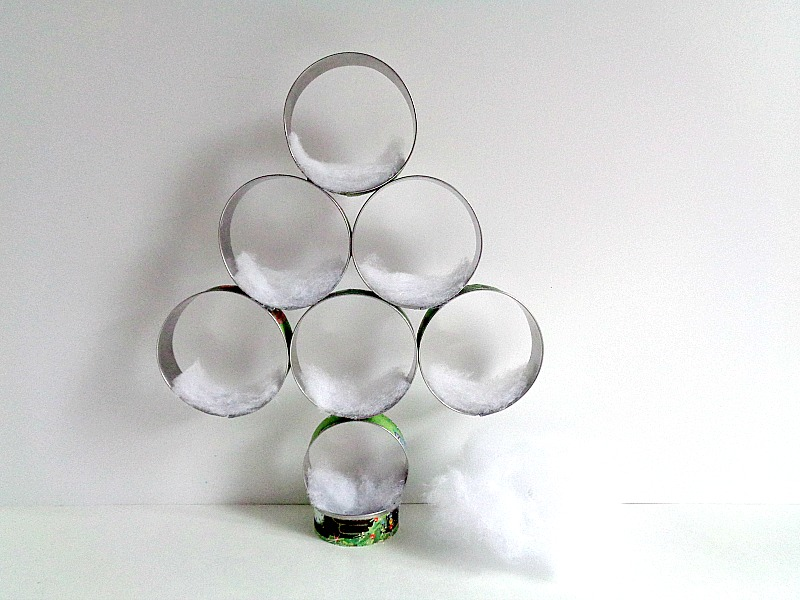 So, if you want to learn how to make your own Retro Tree Display, keep reading below! 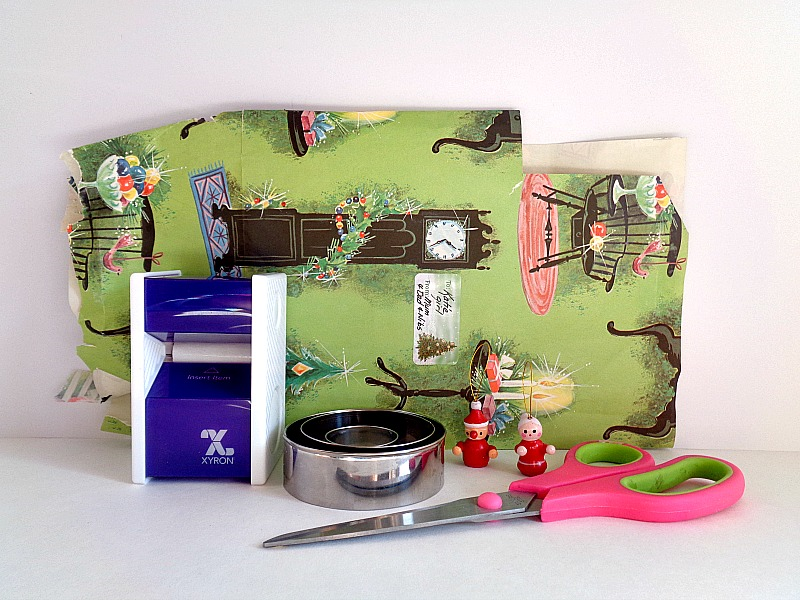 Step 1: Cut out strips of wrapping paper that are the same width has your cookies cutters. 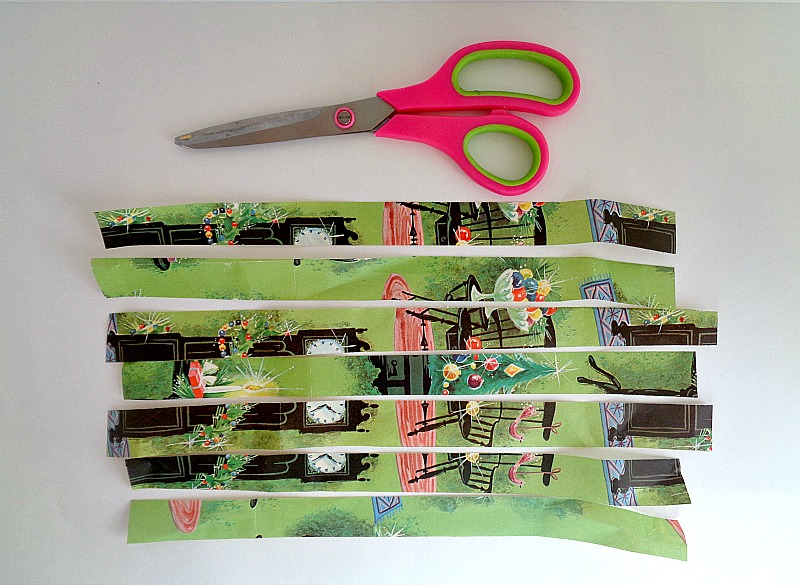 Step 2: Now take your strips of wrapping paper and run them through your Xyron 1.5'' Disposable Sticker Maker. 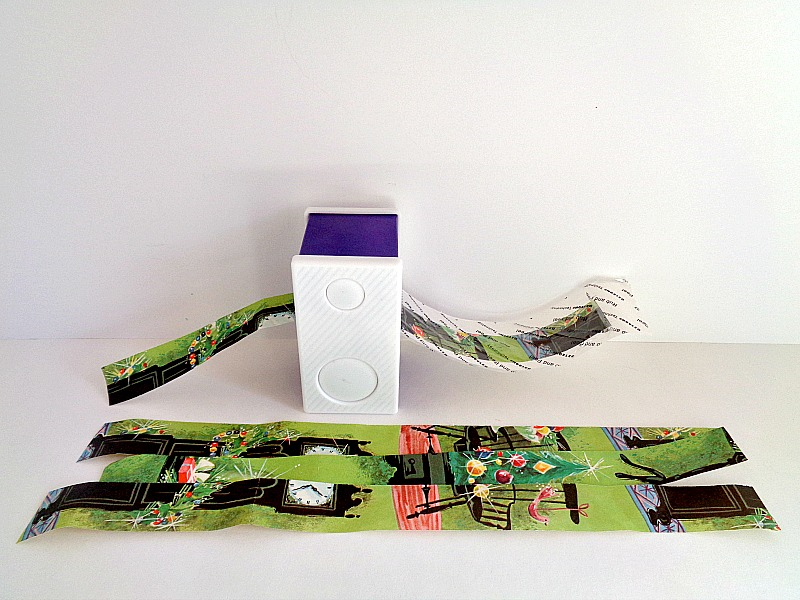 Keep repeating this process until all your strips of wrapping paper have been run through the Xyron 1.5'' Disposable Sticker Maker. Step 3: Once you have run the strips of wrapping paper through the Xyron 1.5'' Disposable Sticker Maker, rub the top of the sticker paper. 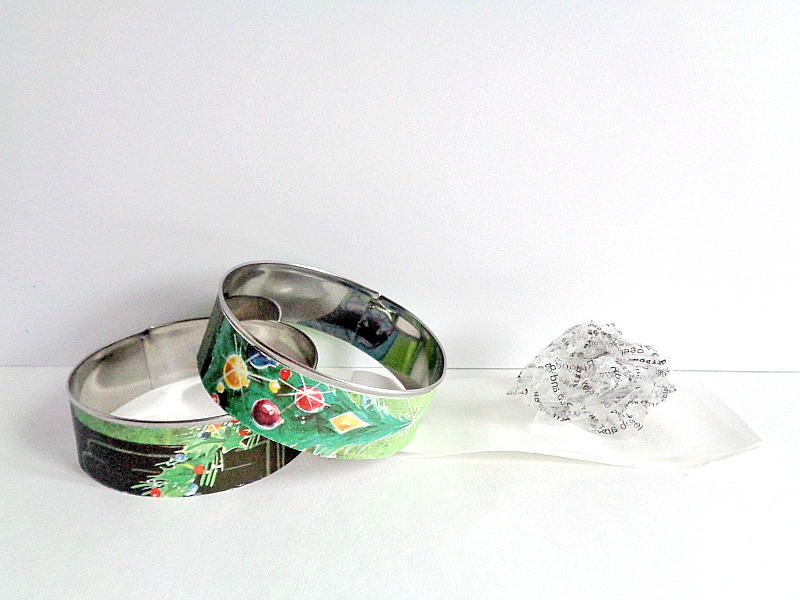 Then peel the strip of wrapping paper off the sticker paper and wrap it around your cookie cutter. Keep repeating this process until all your cookie cutters have been covered. 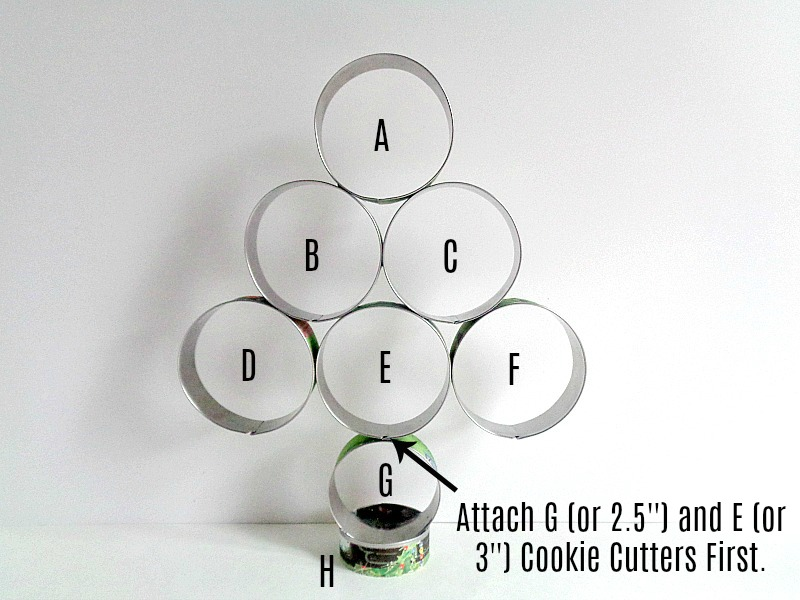 Step 4: Now lay your cookie cutters out in a tree shape. For my tree, I used the 3-inch cookie cutters for the actual tree, the 2.5-inch cookie cutter for the tree stem, and the 2-inch cookie cutter for the base. To make this next part easy to understand, I labeled the tree in the photo above with letters. So, to glue your tree together, start with G (or your 2.5-inch tree stem) and glue it to E (or one of your 3-inch cookie cutters). Then glue cookies cutters D and F on the opposite sides of E. Keep repeating this process until you have A through G glued together. 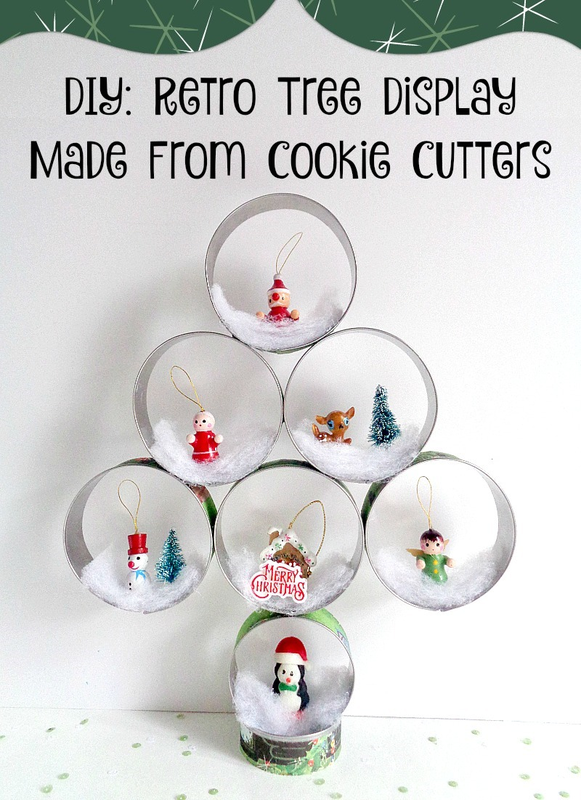 Once you have finished your tree, glue G (the 2.5-inch tree stem) into H (the 2-inch cookie cutter on the bottom). Crafty Side Note: I used a hot glue gun for this step because I knew my tree was only going to hold small lightweight items and was not going to get much wear and tear. However, if you feel that the tree would not be sturdy enough for you, you can always use an industrial strength glue or even small screws to put the tree together. Step 5: Once your tree has been glued together, cut small pieces of fiberfill polyester filling to fit on the inside of each cookie cutter. Then hot glue those pieces into place. 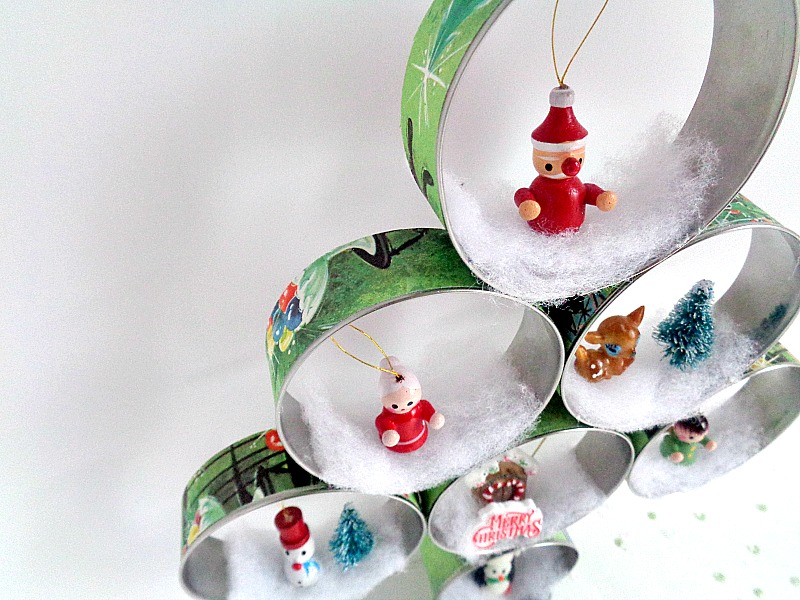 When you are happy with how your tree looks, you are ready to decorate it with your small ornaments and figurines. I love how this little tree turned out! 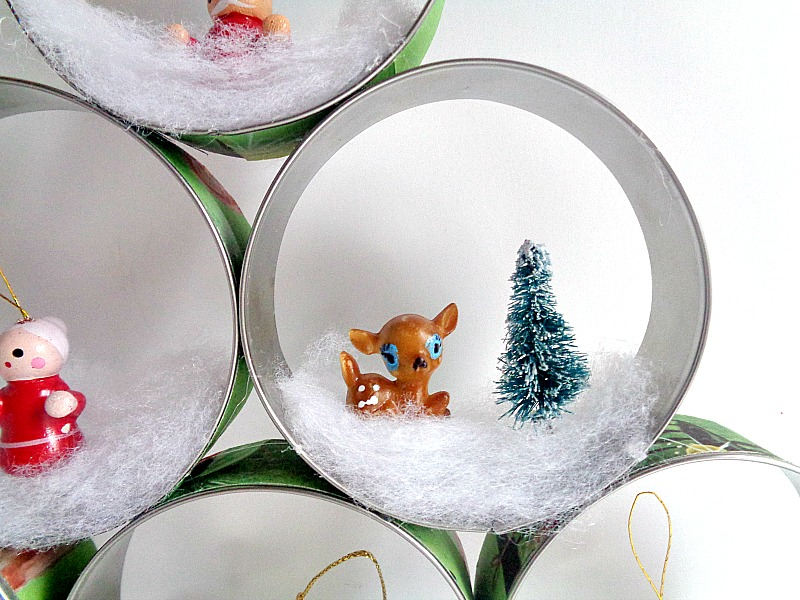 It's the perfect display for those little Christmas items that you don't know what to really do with. On a side note, you may have noticed that I didn't glue my little Christmas ornaments or figurines to the actual tree. This is because I wanted to have the ability to change things around from year to year. However, if you would rather glue your items onto the tree, you go right ahead. To enter the ‘’Home Decor Challenge’’ for this week and to get all the details about the challenge, click here. What do you think? 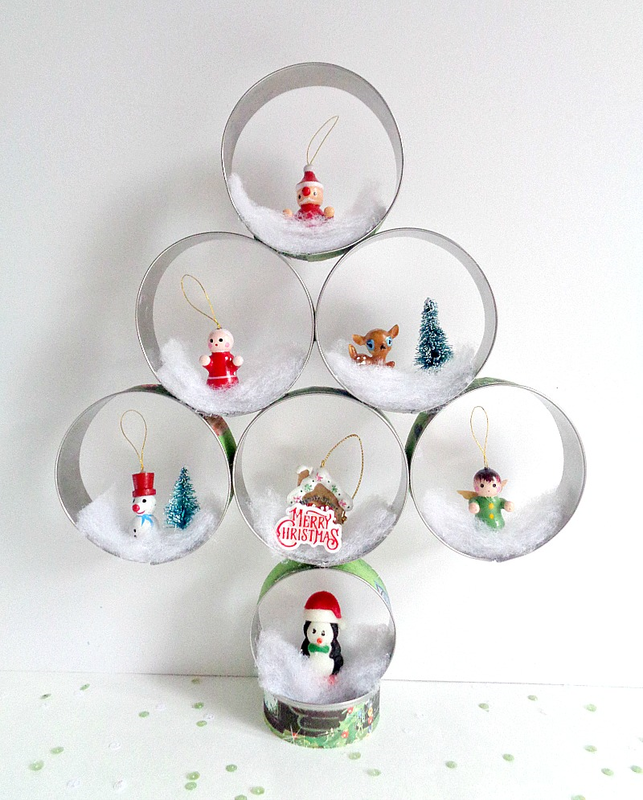 Do you like this Retro Tree Display ?